Open the doors and the rear liftgate and you immediately see evidence of the old Ford D3 platform that underpins this vehicle: the protruding lips that preclude a smooth floor transition at the rocker panels; the huge depth for liftover at the liftgate. That said, Ford has done a superb job of packaging seating into the interior space, and the third-row seats fold cleverly and neatly into the cargo cavity to create a flat load floor that’s even with the bumper height. Love the electric operation. 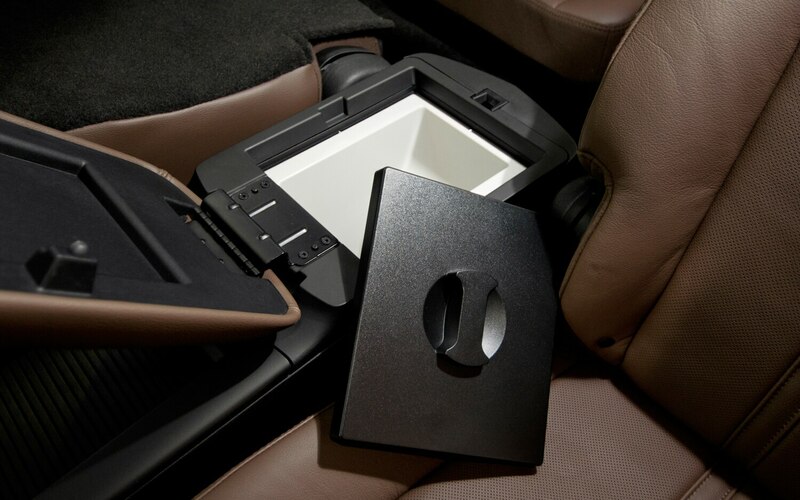 Interior aesthetics are impressive; this is a very rich environment with what appear to be high-quality materials, especially the brown leather of our tester. 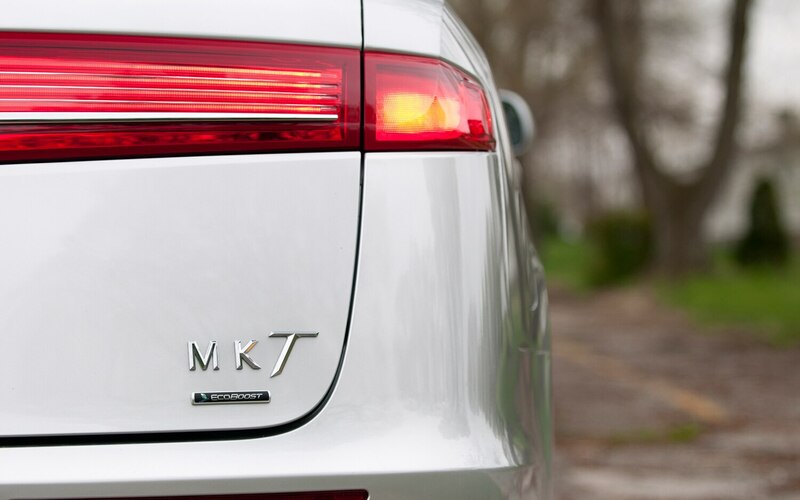 The exterior design, derived from the 2007 MKR concept, is an acquired taste, especially the big tailgate. That tailgate has a big piece of magnesium in it which supposedly saved 20 lb in weight over a conventional steel structure. My notes from December 2008 unveiling in Dearborn say that the primary competitive targets were Audi Q7, Acura MDX, Cadillac SRX (clearly the last-generation), and the Mercedes-Benz R-Class. I got into the MKT directly from an Infiniti JX35. 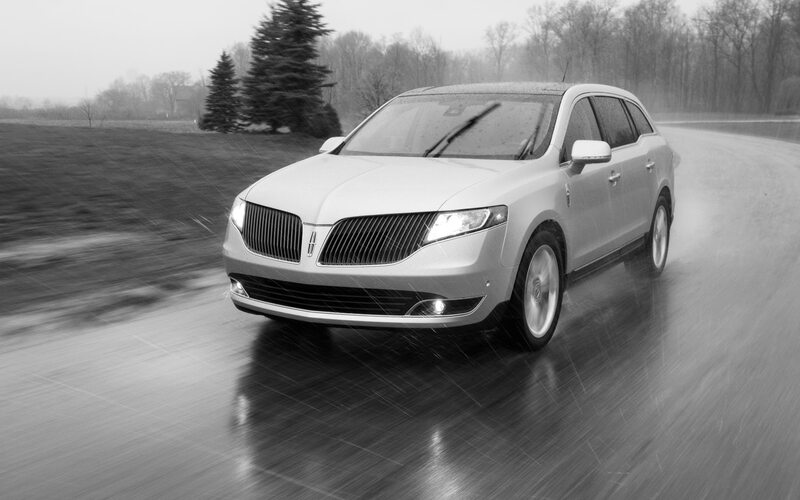 Who would have thought that the Lincoln would be much better to drive? 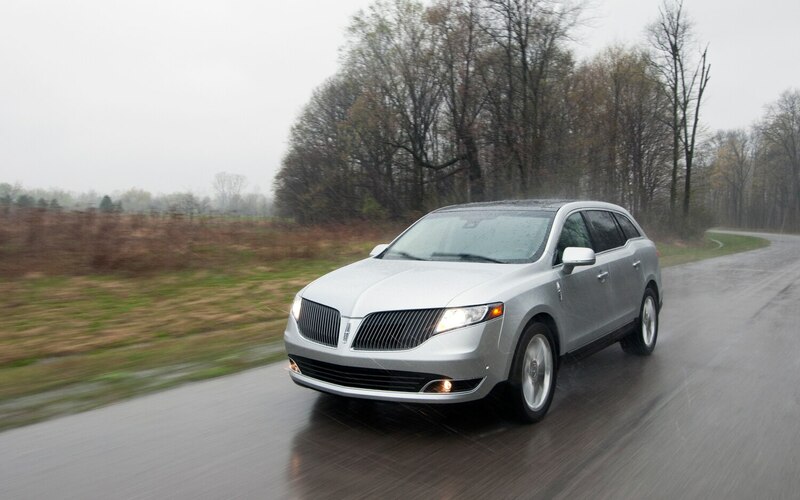 It has very good steering feel and precision, as well as impressive body control. There’s a fair bit of rebound in the whoop-de-do’s, but I didn’t have the chassis in sport setting. 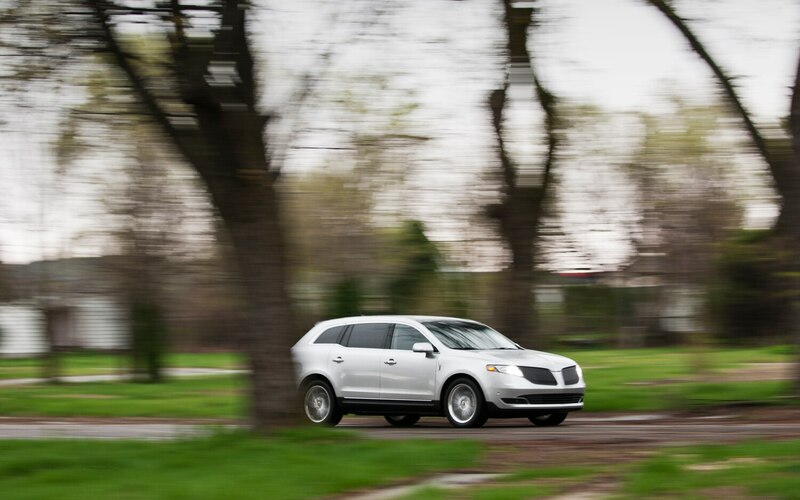 The EcoBoost V-6 has superb power delivery, even if there is some noticeable torque steer. 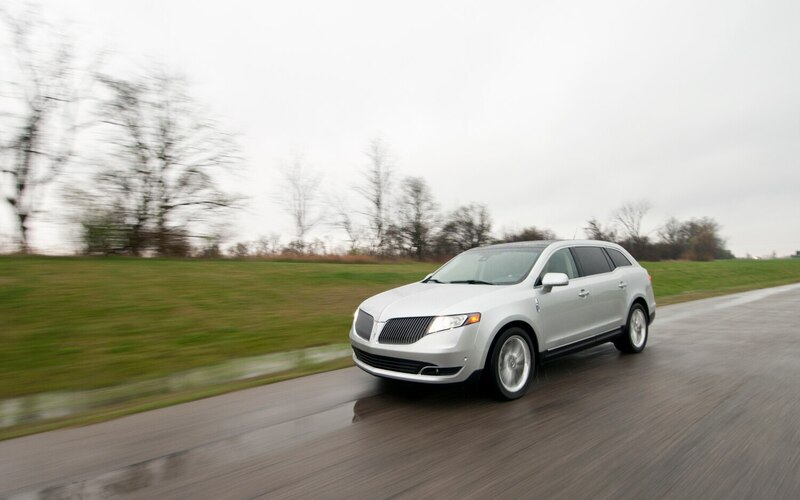 It’s easy to burst to 110 mph; good brake pedal feel as you bring it back down to legal speeds. 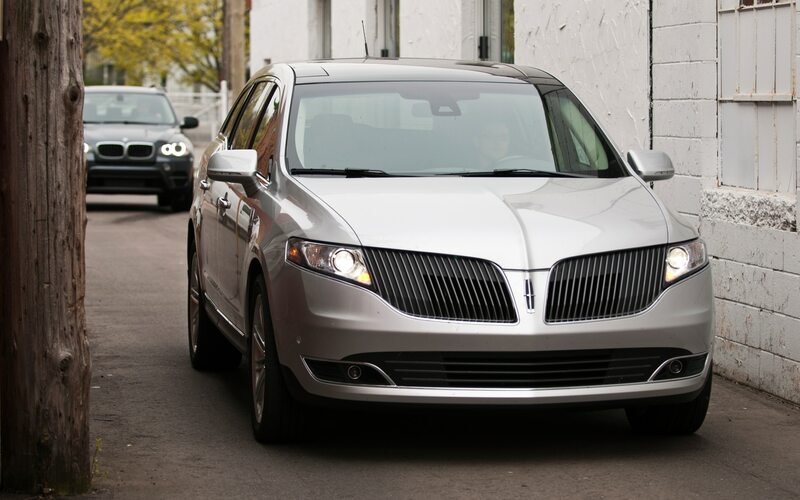 Like Joe DeMatio, I was surprised by the Lincoln MKT‘s competence. 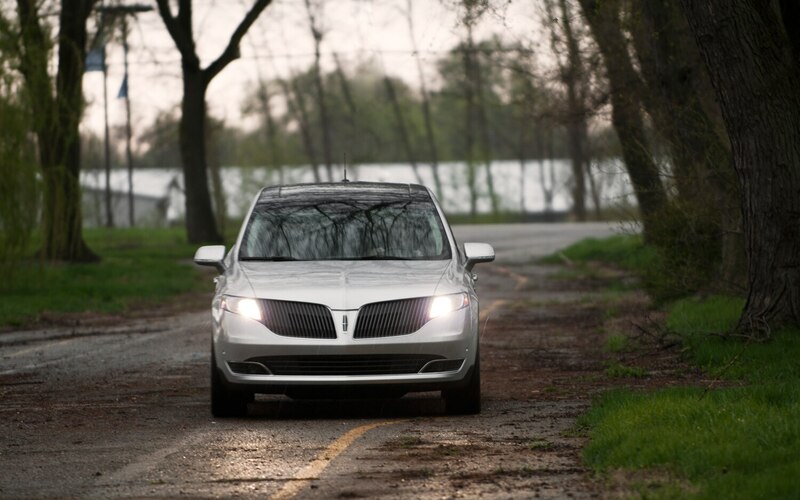 The strong engine, impressive steering, comfortable cabin, and competent handling exceeded my expectations. 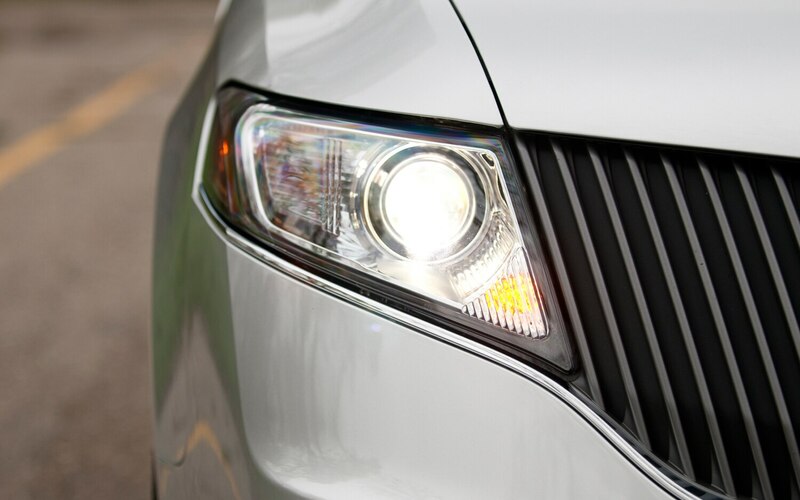 The driving dynamics don’t stand up to a BMW, but they’re on par with a Lexus. 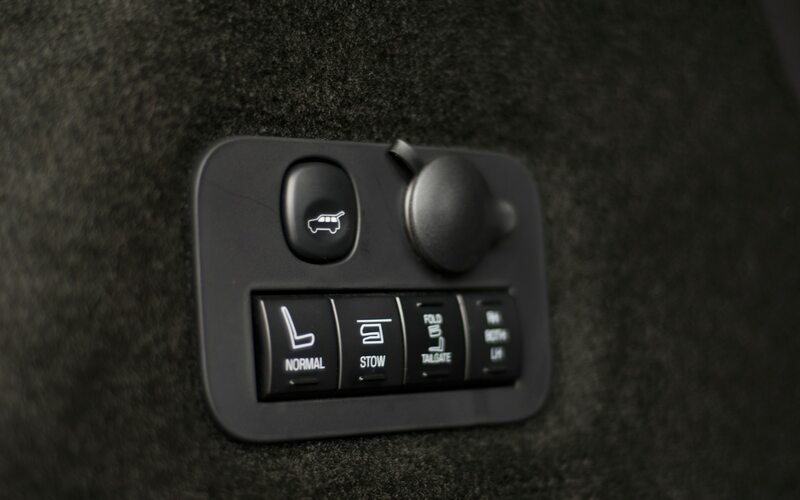 One of the biggest changes for the 2013 MKT is a new adaptive damping system that allows the driver to choose comfort, sport, or normal mode. 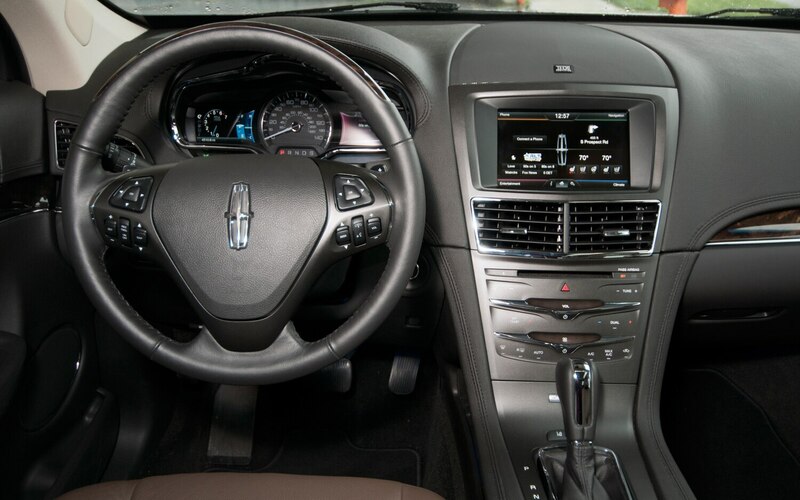 While the MKT generally errs on the soft side, there’s a nice bandwidth of ride quality and body control. 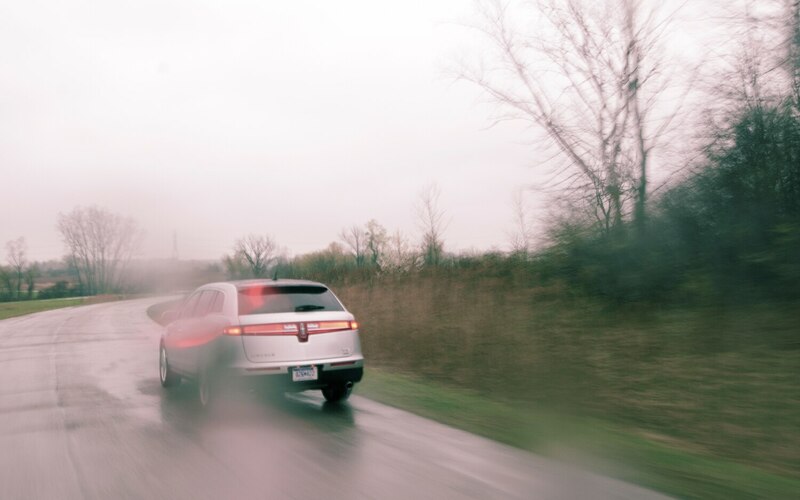 The twin-turbo V-6 accelerates this 4900-pound monster with ease, but you’ll also feel the steering wheel tugging at your hands at speeds up to 50 mph as you do so. 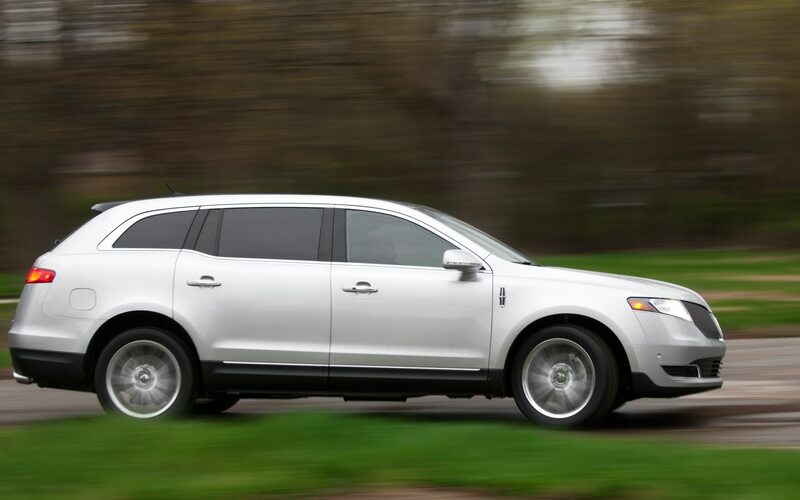 I’ve never experienced so much torque steer from an all-wheel-drive vehicle, which is proof that Lincoln’s all-wheel-drive system can’t transfer as much torque to the rear wheels as an Audi or BMW. In addition to the quirks Joe DeMatio mentioned, the high beltline found in all large Ford vehicles gives the sensation that you’re sitting in a very deep bathtub and just barely peering over the edge. 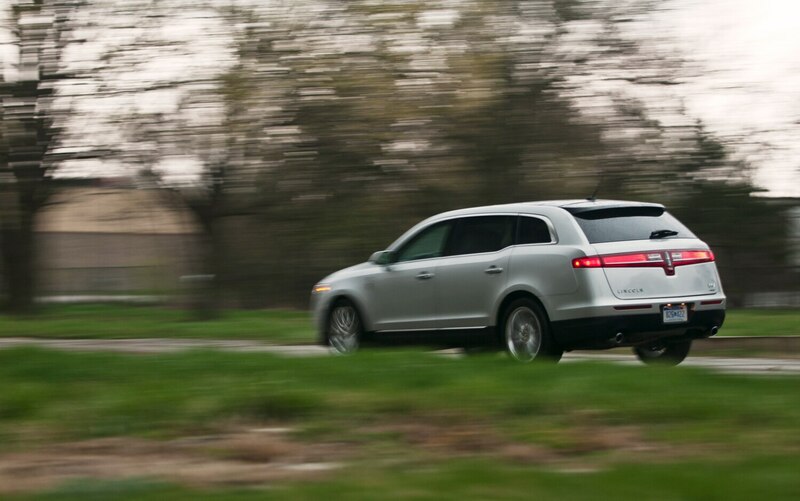 You’ll experience it in a Ford Explorer, you’ll notice it in a Ford Flex, and it’s prevalent in the MKT. That’s one reason the MKT is more enjoyable as a passenger than a driver. 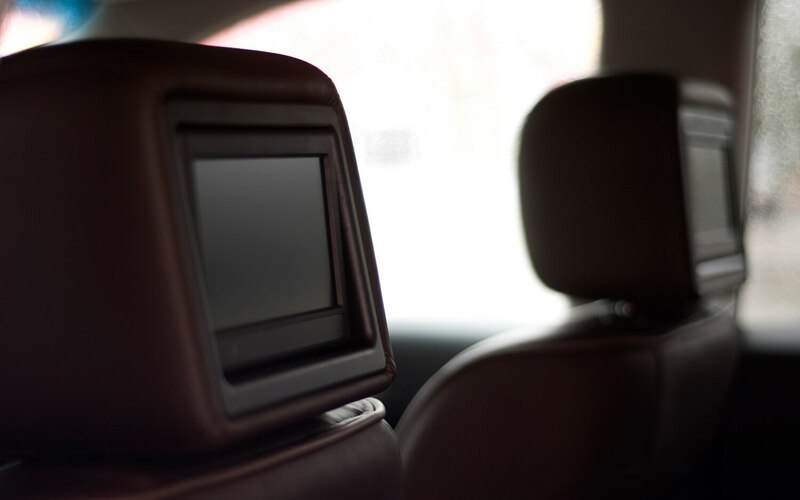 With a small refrigerator, heated and cooled seats, and generous room, the indulgent second row is another reason. The third row, however, is much less inviting. It isn’t just limited to kids; it’s limited to small kids. 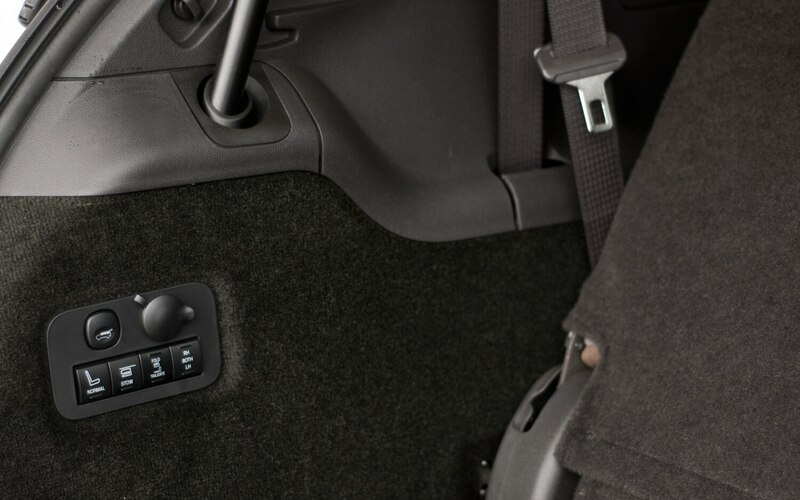 While the cabin boasts nice materials and a tasteful look, the graining and finishes of the major panels aren’t much different than what you get in a Ford. 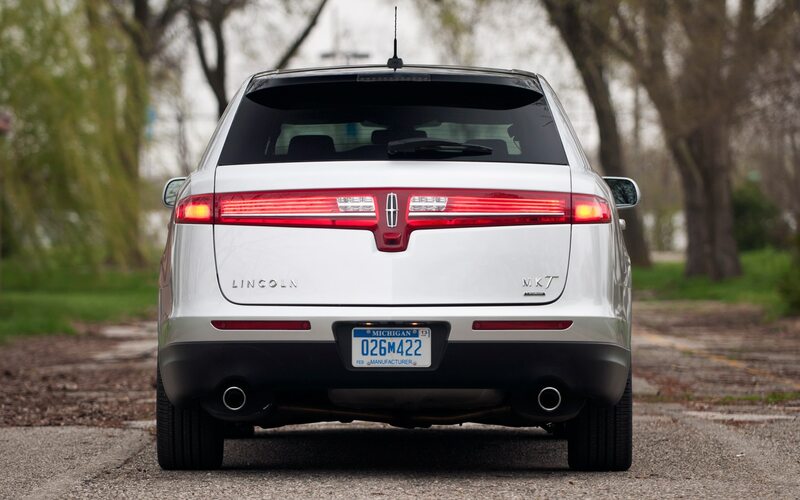 MyLincoln Touch is improved, but there are still elements that make it unfit for any modern vehicle, let alone a $59,000 luxury crossover. 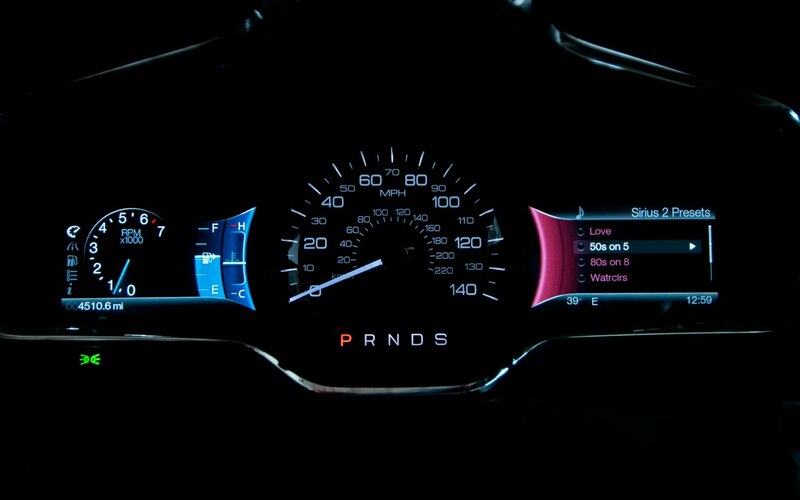 The touch-sensitive volume and fan speed sliders work correctly maybe once every tenth use. It’s not just that the volume or climate system fail to respond, either. 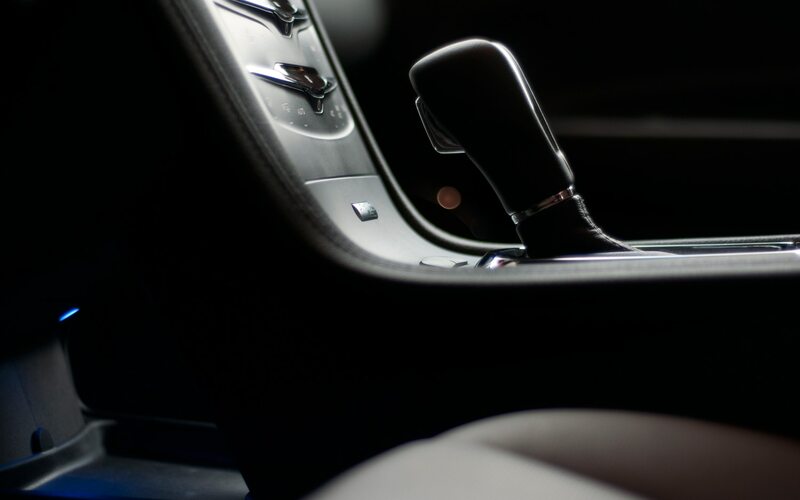 The system will frequently over compensate — blasting the radio when you wanted just a touch more volume — or move in the wrong direction — raising the fan speed when you were trying to lower it. 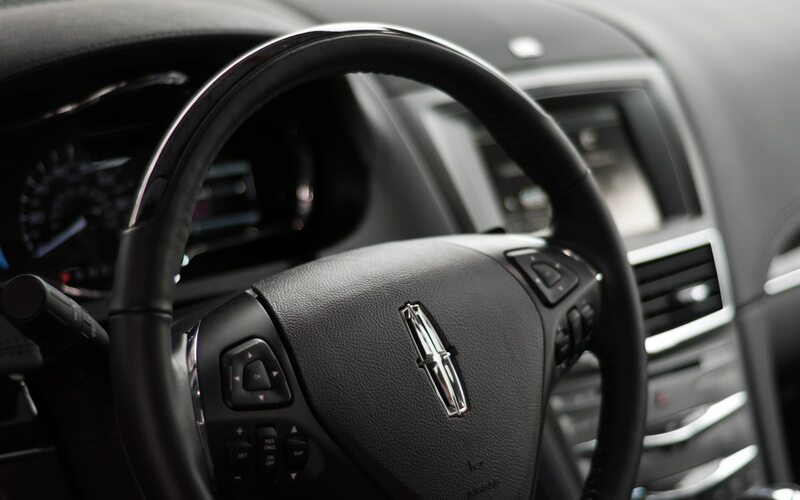 A Lincoln employee recently told me that the company wouldn’t do “tech for the sake of tech.” Until Lincoln returns the volume knob to the center stack, that’s a disingenuous statement. 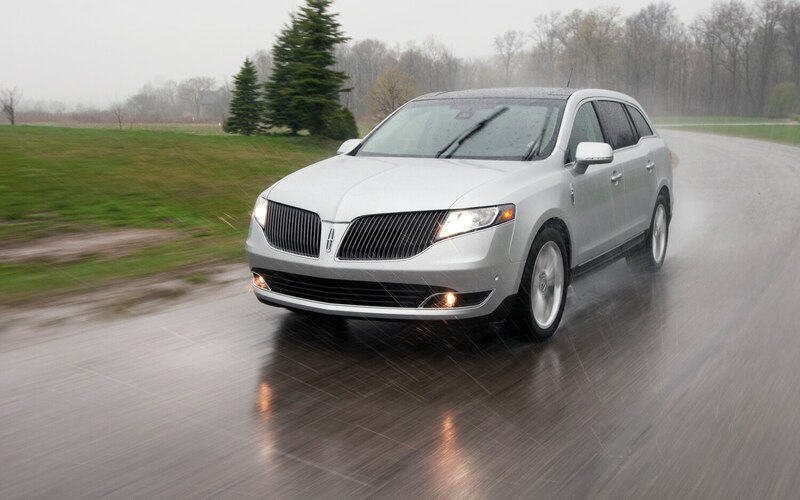 I highly doubt that it’s torque steer or panel graining that’s keeping Lincoln from moving loads of MKTs, though. 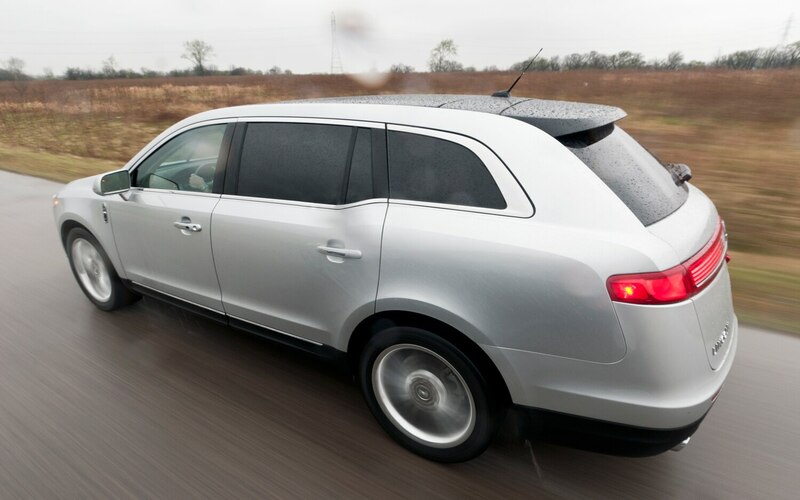 To sell a car, you need to put potential customers behind the wheel first, and I think the ungainly and ill-proportioned styling is keeping prospective buyers out of the car. 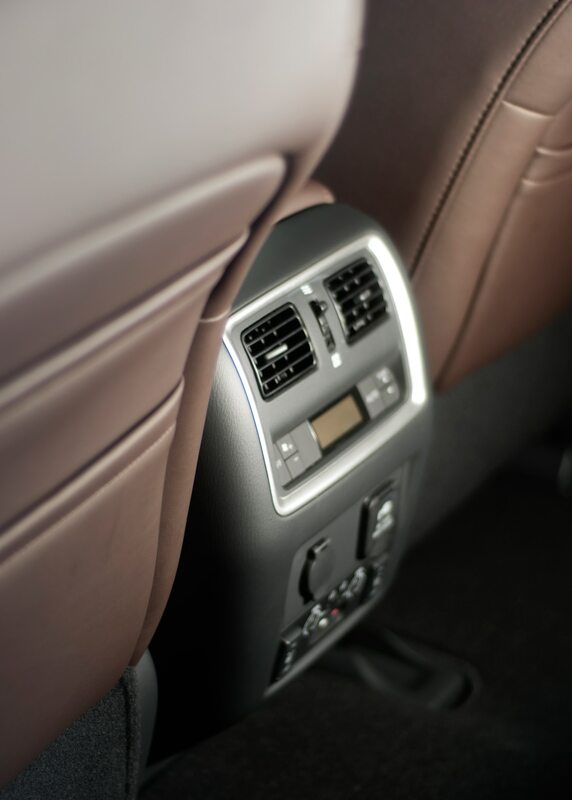 I didn’t spend much time with the MKT but it doesn’t take long to get discouraged and annoyed with a vehicle when a simple radio or HVAC adjustment requires pinpoint fingertip accuracy and the patience of Mother Teresa. 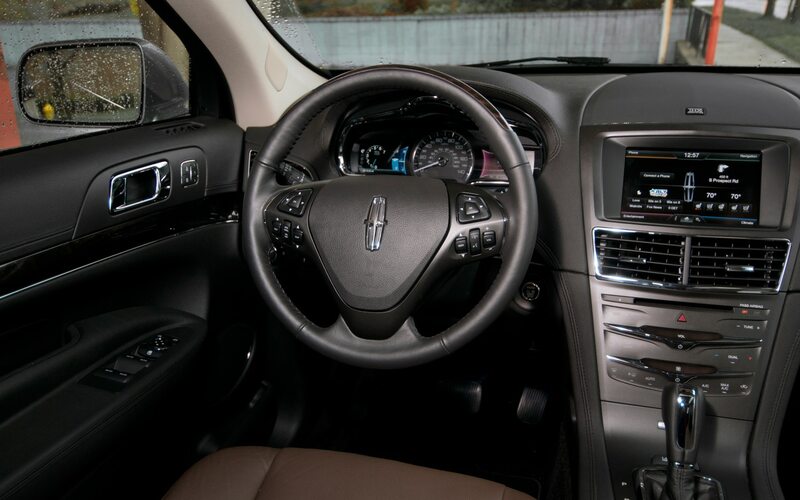 It’s actually quite unfortunate that the non-screen-based controls of the MyLincoln Touch system are so irksome because they are really quite attractive and give the central console a sleek, modern look. The MKT has a “can’t see the forest for the trees” type of design. 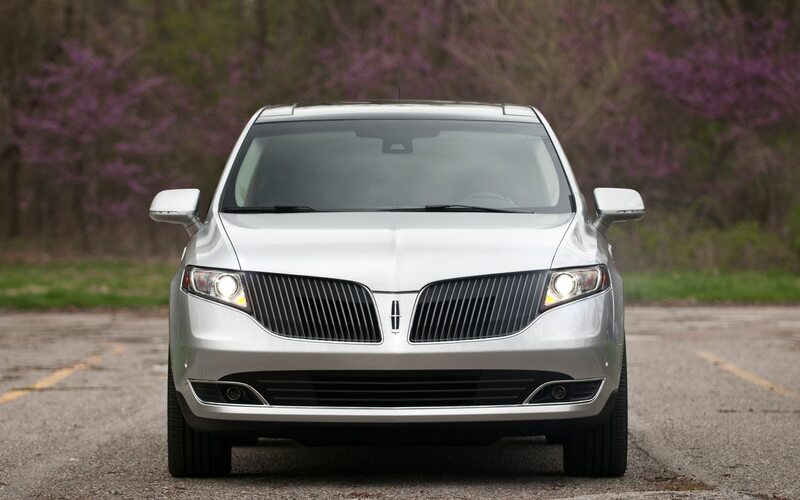 If you look at the different elements on their own – split wing grille, bustle-back rear, two-tier beltline – they don’t look bad, but put them all together and you have a somewhat aestethically challenged vehicle. 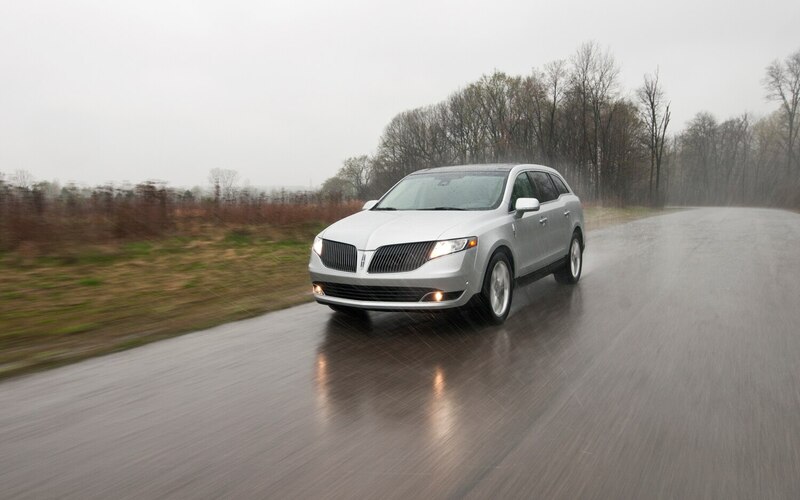 However, it isn’t bad to drive. The Ecoboost V-6 puts down the power swiftly and efficiently and never feels strained moving this almost-5000-pound vehicle down the road. 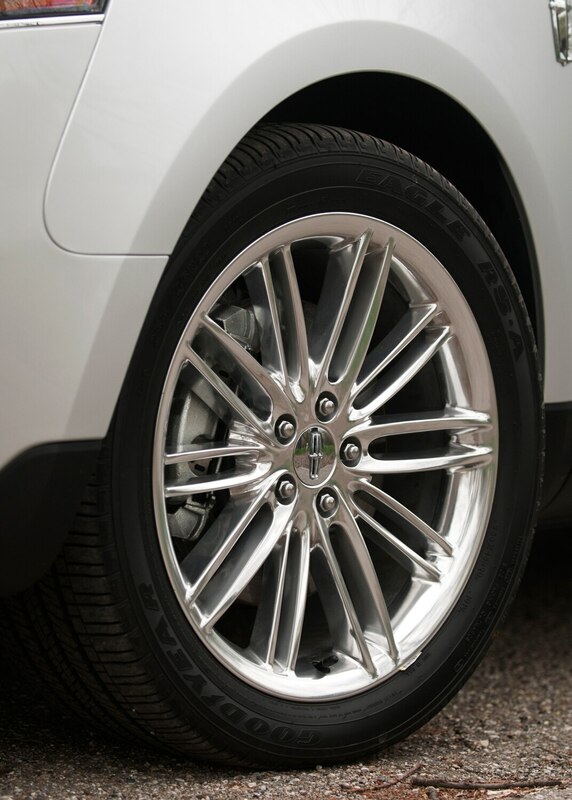 The steering and braking are well tuned, and the adaptive suspension means you can set it to your liking. 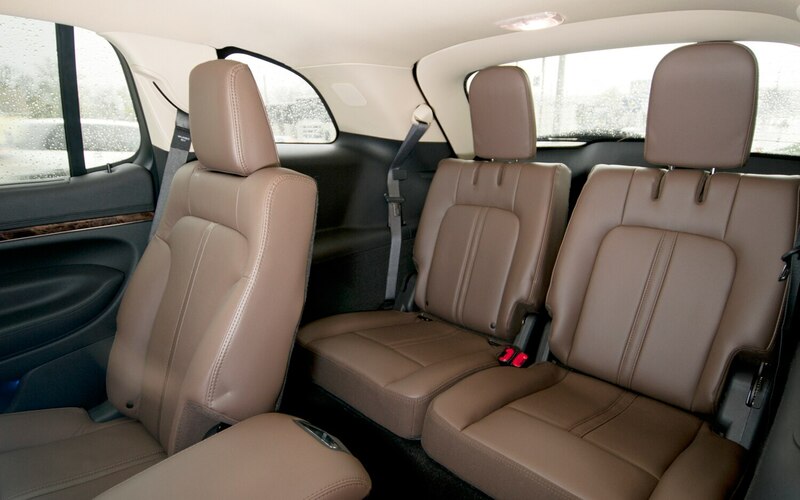 The interior is quite attractive, especially the chocolate brown/black color scheme of this test vehicle. One problem I had was with the seating position. I’m short so I often find myself needing to raise the seat to reach a position where my sightlines are unimpeded. In this car, when I raised the seat, my knees kept bumping into the steering column. I tried moving the seat back and adjusting the pedal height, to no avail. 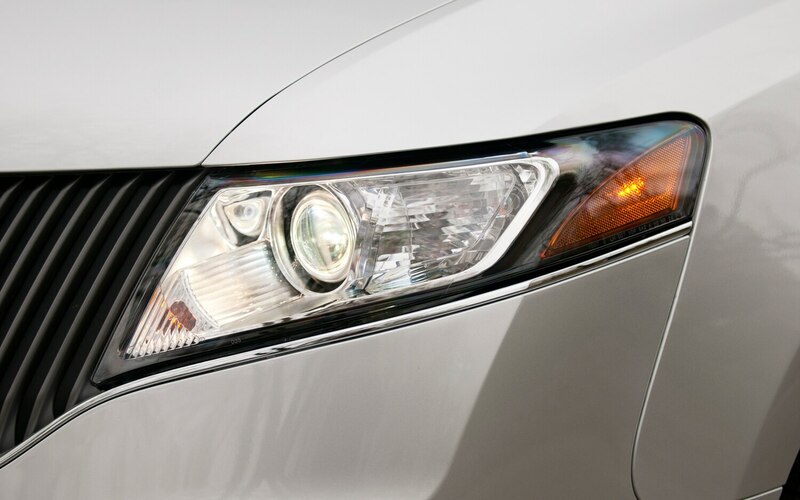 The MKT Ecoboost has 62 more hp and 72 more lb-ft of torque than the base MKT with a 3.7-liter V-6. 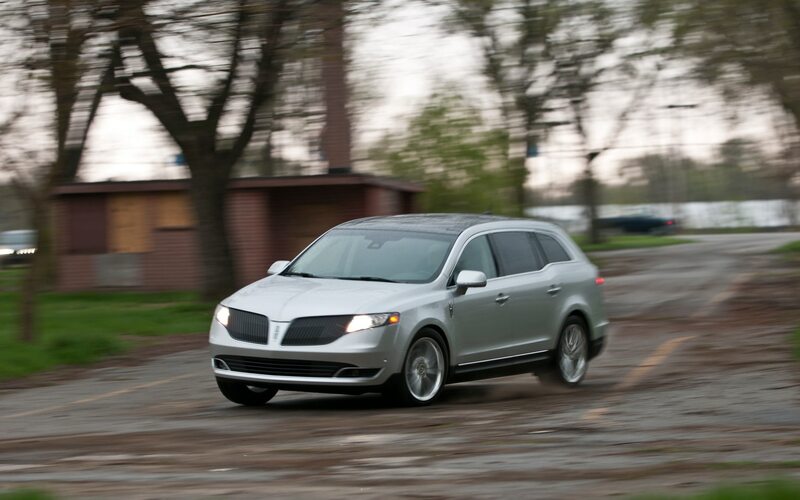 We were surprised by the Lincoln MKT’s competence. Seven seats without sliding doors.